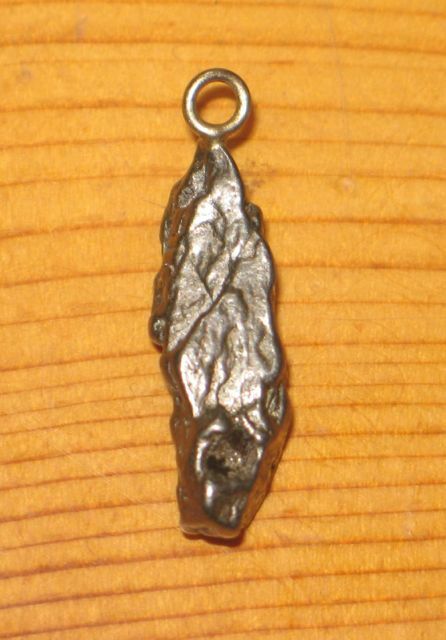 Elegant Sterling Silver & Gibeon Meteorite Necklace. 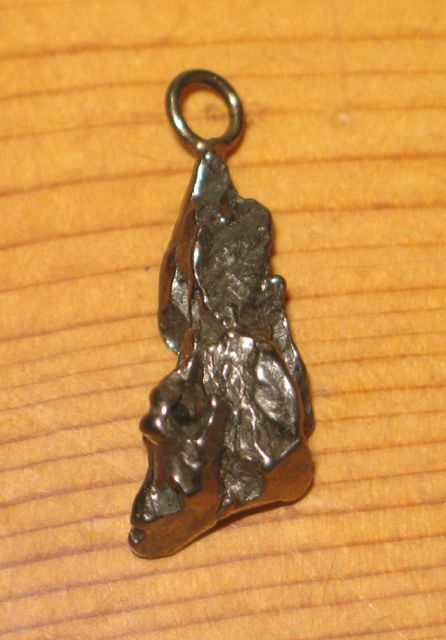 Welcome to Arizona Skies Meteorites® meteorite pendant page. 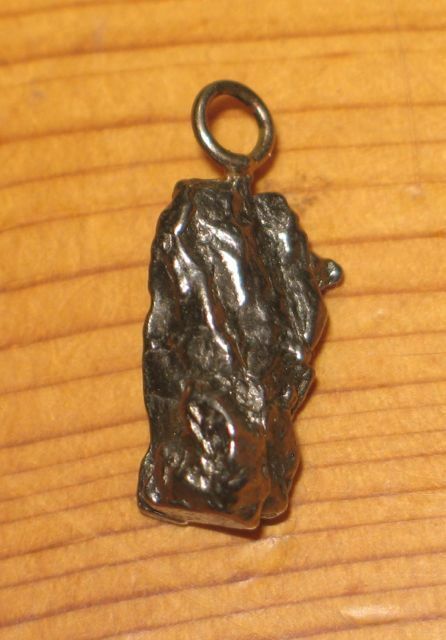 Below are authentic iron meteorite pendants for only $69.95! 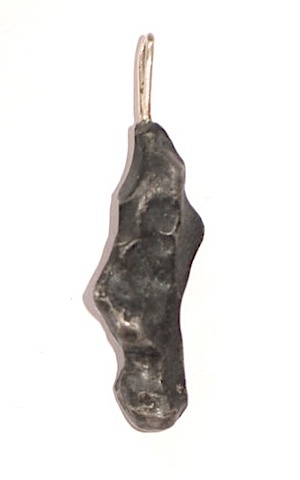 These lovely pendants are made from fragments of Campo del Cielo meteorites, and they make wonderful gifts! 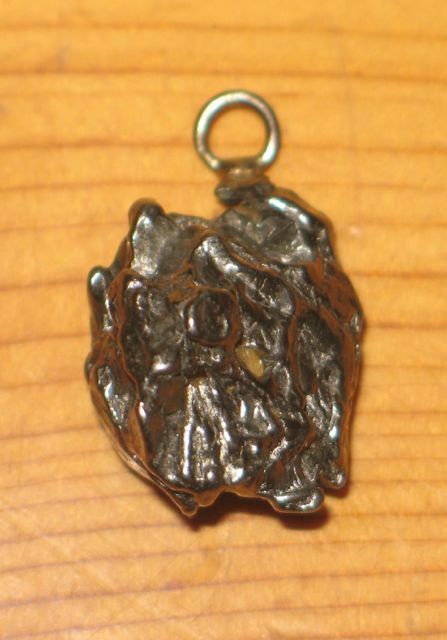 They are a really cool idea for anyone that is into astronomy, meteorites, metaphysics or just eclectic and beautiful things. 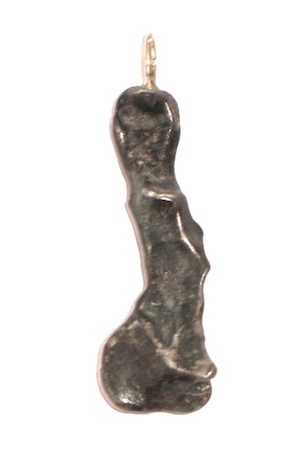 Dealers please feel free to enquire about wholesale pricing. 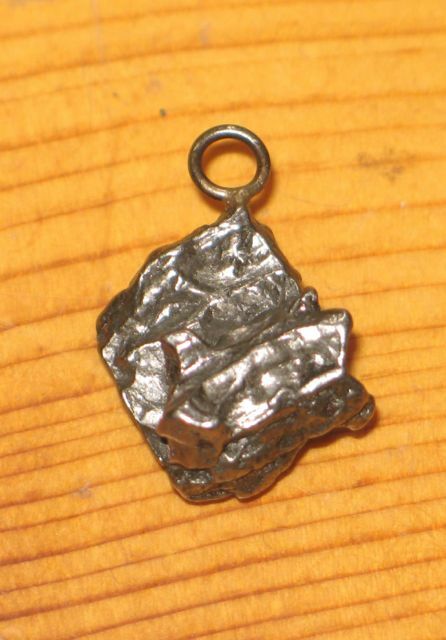 To see gem-like meteorites that can be made into fantastic pendants please visit our Esquel and Imilac pallasite pages! 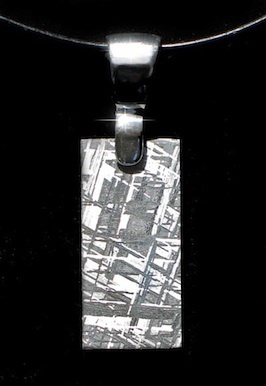 Please NOTE: WE HAVE MORE AVAILABLE-JUST ASK! 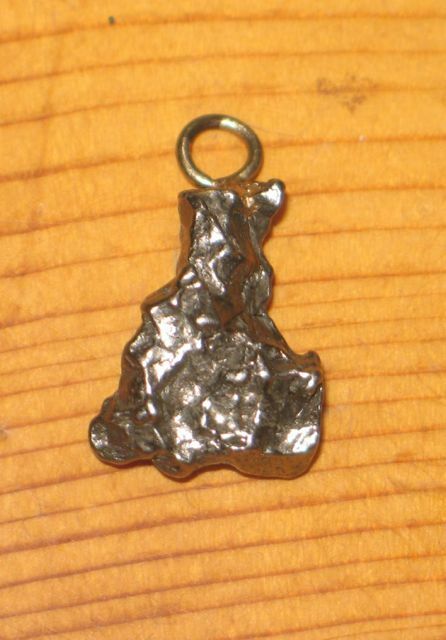 Sikhote Meteorite Pendant A. 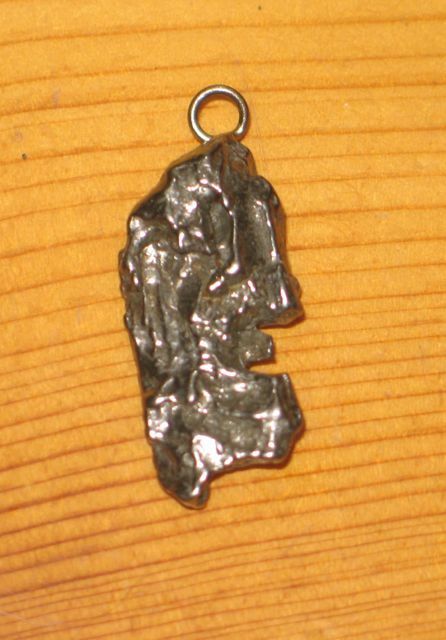 Price: SOLD! 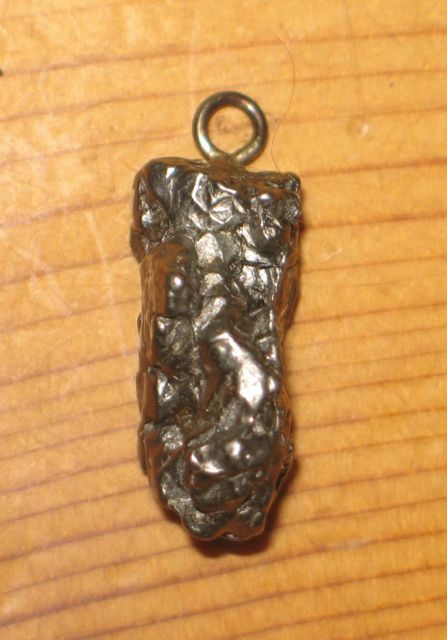 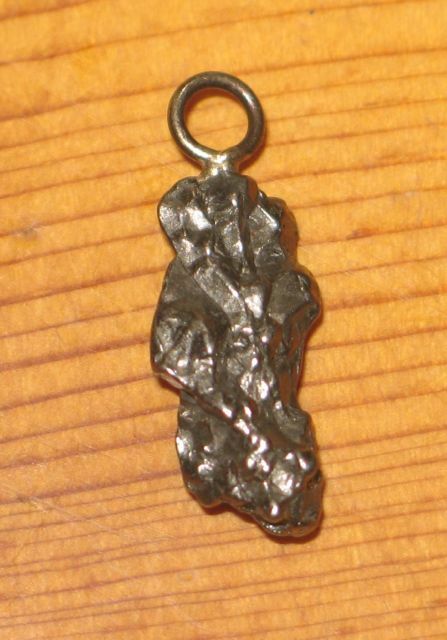 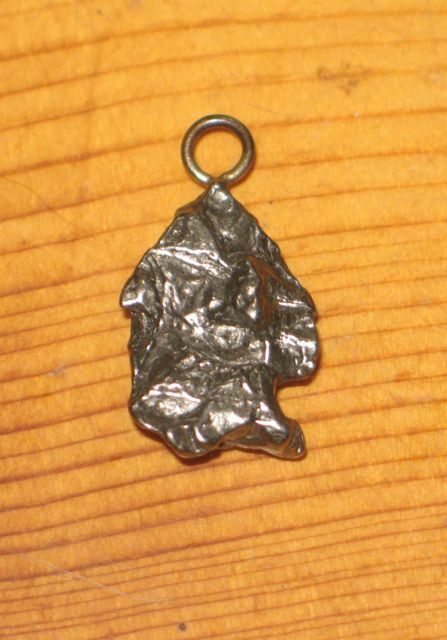 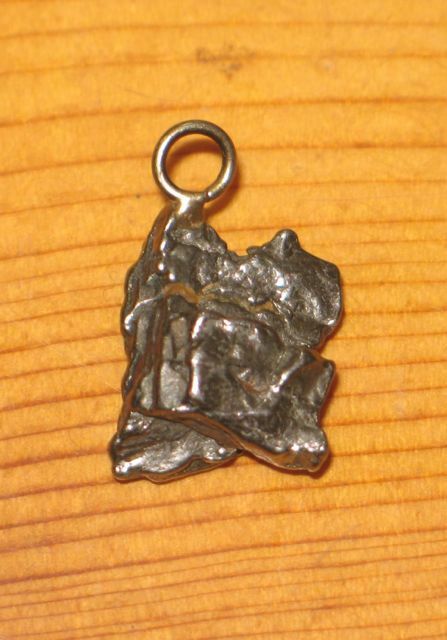 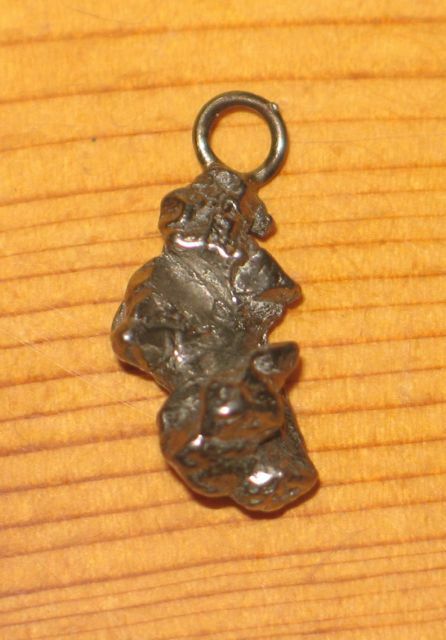 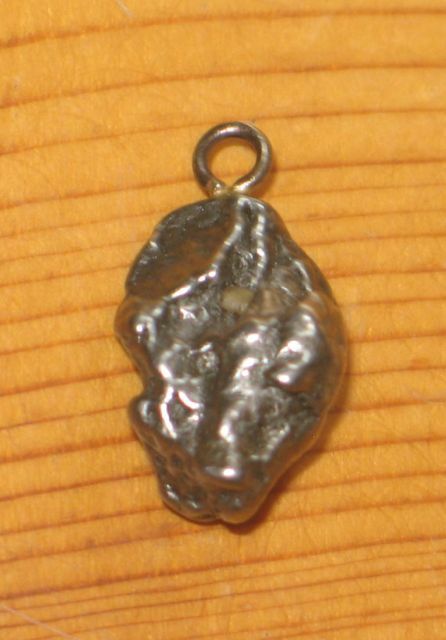 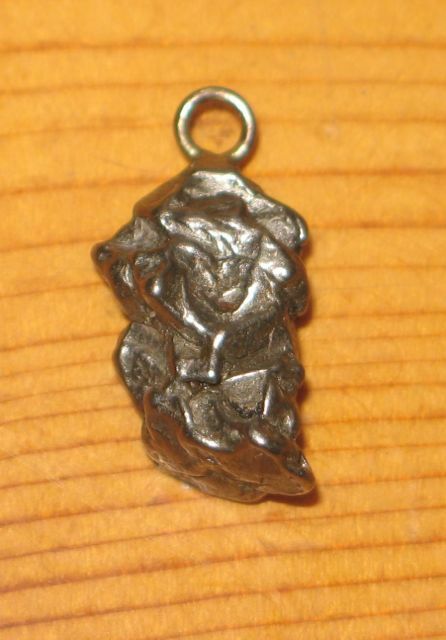 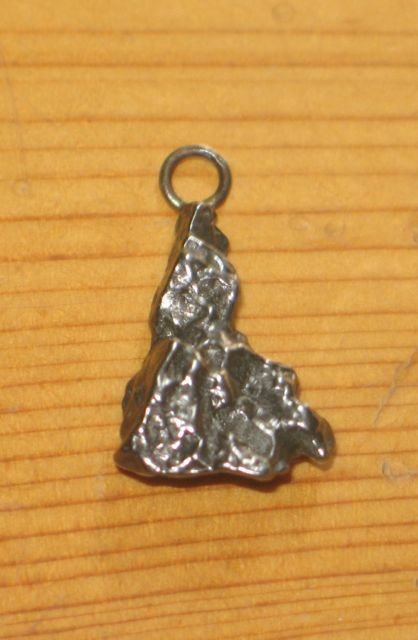 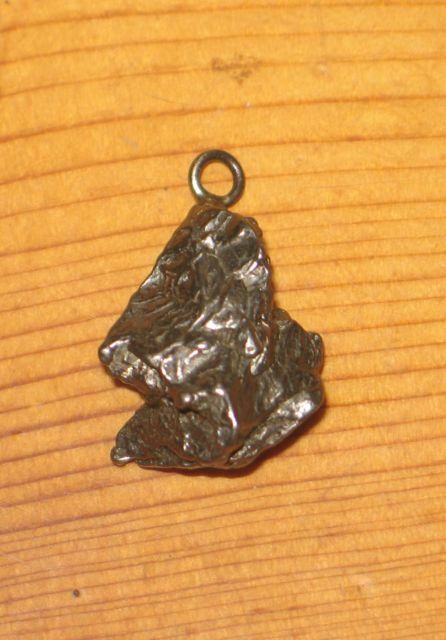 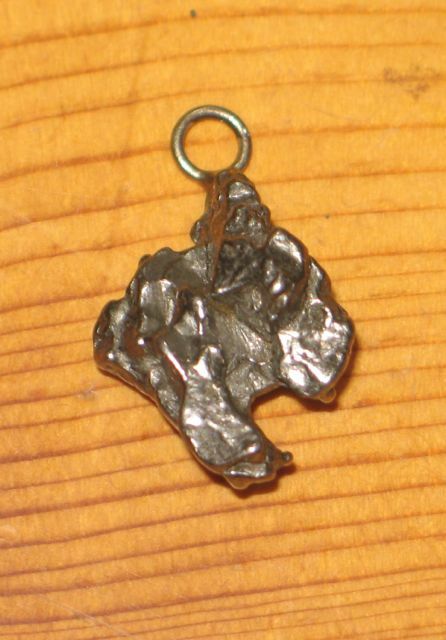 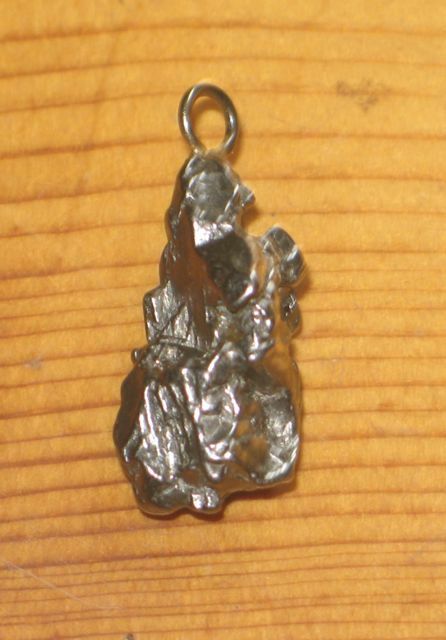 Sikhote Meteorite Pendant B. 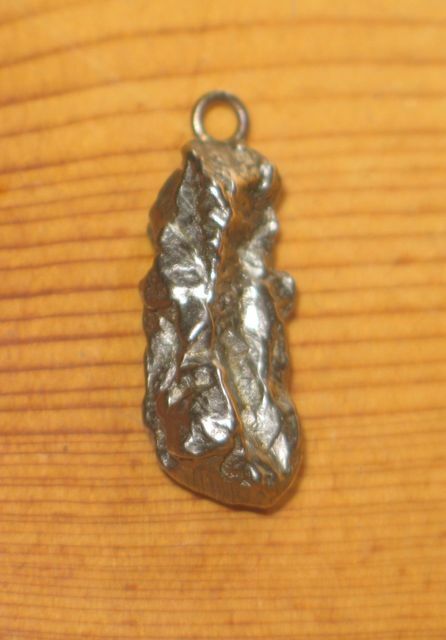 Price: SOLD!